UNITED NATIONS – / MaximsNews Network / 10 May 2010 –It has been known for some time that the world’s water sector is not a quick adopter of new technologies. This might soon change. In 2009, Japan’s research funding agency, the Japan Science and Technology Agency (JST) awarded over US$35 million in the first year of its Innovative Technology and System for Sustainable Water Use research and development programme. An additional US$40 million will be spent over the next two years for a total of about US$75 million in funding allocated to this programme. Representing a major new investment in water R&D, the goal is to help solve critical water problems and enhance water management reliability in megacities using innovative technology and integrated water resources management (IWRM) techniques. This R&D programme is the newest in the JST Agency’s “Core Research for Evolutionary Science and Technology” (CREST) umbrella programme. The government of Japan has been instrumental in promoting scientific advances and technological innovations that arguably permeate many aspects of our present-day lives, a reality reflected by the fact that while Japan produces some 8% of the world’s GDP, it undertakes 16% of the world’s R&D. The JST’s CREST water research programme is publicly funded by the Ministry of Education, Culture, Sports, Science & Technology (MEXT), the body that determines the overall strategic sectors for the nation’s creative research programmes. While the research areas selected by the MEXT are expected to have a major social impact that will be useful to society, the government’s overall impetus is to promote basic research in strategically prioritised fields and to foster the development of innovative technologies that will lead to the future growth of science and technology, the creation of new industrial activities, and for guiding tomorrow’s social and economic development. As Japan’s research community pours its intellectual and financial resources into solving some of the world’s most pressing water challenges, a glimpse of the CREST Sustainable Water Use programme reflects the complex realities of how managing water is no longer just about taking water from a river, constructing pipes and turning on the tap. Water managers are increasingly confronted with the reality that managing water is also about paying greater attention to water quality and preserving a balance within nature’s water cycles, bracing for climate change impacts and circumventing the overpumping of groundwater aquifers that can lead to land subsidence among other disastrous consequences, while exploiting wastewater sludge’s untapped energy and recovering resources. Advised by nine of Japan’s most prominent researchers in the field, the Research Supervisor, Shinichiro Ohgaki, President of the National Institute for Environmental Studies and the Deputy Research Supervisor, Mikio Yoda, Senior Chief Engineer, Information and Control Systems Company at Hitachi Ltd, are seeking to shape a research programme attuned to these complex realities. “Our programme seeks to propose innovative systems for water uses by human beings, as opposed to dealing with matters of ecological water or the water environment per se,” says Dr. Ohgaki. “Our primary target is to tackle water challenges in densely urbanised areas by providing clean and reliable water supplies. In fact, we are not only pursuing R&D to invent great new treatment technologies, but we are also aiming to provide integrated systems-wide solutions to the complex and challenging water problems we face in megacities”, says Dr. Ohgaki. Decentralised water reclamation and cascade material-cycle in an agricultural area. The Asian continent is burgeoning with mega metropolises and, unlike Europe which has already built up the bulk of its cities; these expanding Asian cities are a potential flourishing market for Japanese technologies. Japanese engineers and scientists will join this race to meet the Asian city’s booming thirst for water amidst expanding economic activities and dwindling ecosystem functions. Japan’s water research community is being encouraged through the CREST water R&D programme to devise solutions that address water problems within densely urbanised settings. What is the actual quantity and quality of water available from various water sources for a given area such as surface water, groundwater, stormwater, and reclaimed water (for example, the Ara River watershed in Japan and the Hon River in Vietnam); and how best to manage these sources under changing climate conditions? Since a safe and dependable water supply is required in densely populated metropolitan areas, how can such ‘ubiquitous’ water resources, which are lying in cities, be integrated to help solve water use issues in urban areas? How should the design of an urban water use system accommodate a shift from a ‘one pass type water use’ to a ‘cascade type water reuse’ so that the amount of required pristine water resource and used water loading will be reduced, and the water environment will be preserved in megacities? Can developing new technologies such as membrane filtration, ozonation, and advanced oxidation processes be rationalised in dealing with energy requirements, complexity of operation, water quality, and health concerns of trace contaminants? Can natural organic matter (NOM) measurement be standardised and used as a routine parameter for judging the treatment performance? How can the adverse health risks of pathogens and toxic chemical compounds that are present at low concentrations in reclaimed water be assessed and quantified; particularly, when present as components of complex mixtures? In another sign of the times and of the Japanese scientific community’s unequivocal stand on climate change, technological innovation in Japan now requires one to pursue a ‘low-carbon footprint’. 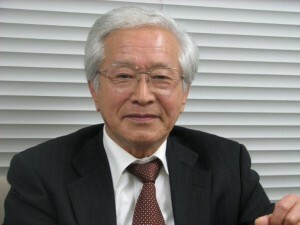 “Technology development for the sake of technology is not advocated in this programme,” asserts Dr Ohgaki. “The viable water technologies of the future must be low-carbon. 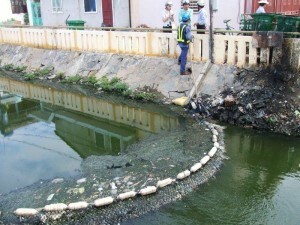 They also need to be less material-intensive, affordable, and must deliver dependable safer water”. How will climate change affect food production? Which cities will have to manage water under enhanced drought conditions? Where are the IPCC forecasted intense rainfall events likely to take place? Can agricultural wastewater and nutrients be reutilised in an environmentally, socially and economically viable way to prevent diffused non-point source pollution and to increase the value of agricultural lands? How can a new water treatment system incorporate low-fouling membranes that focus on the molecular structure of water, and integrate multiple membrane technologies, using rapidly evolving chemo-informatics technology? How can disturbed (deforested or over-forested) watersheds be optimally rehabilitated through best forest management practices — to increase groundwater recharge through increased soil infiltration and hence reduction of surface runoff and soil erosion? Another innovative feature of the CREST research programme being its emphasis on partnerships, a team research approach with researchers stemming from various academic and research institutions, as well as participation of the private sector is sought. 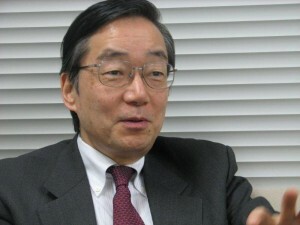 Under the dedicated leadership of Hitachi’s Mr Yoda, the awarded projects must ensure that practical business applications may be derived from their findings. “Originality and impact are what we need and industry can help ensure that the R&D for new technologies has tangible, immediate applications for societies,” says Mr Yoda. “We can help make sure that the new technologies that are developed can indeed create new businesses, with strong potential for economic growth”, he adds, echoing the CREST programme’s stated mission of turning basic research into business opportunities for global applications. When one ponders the fact that the global water market is annually worth between US$400-500 billion in terms of water-related revenues, with several high growth markets in Asia, there is great incentive for Japanese businesses to seek a share of this water market. 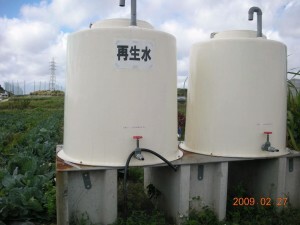 Efficient water use in industries including water recycling and no-liquid discharge. Japan has been able to build one of Asia’s most successful water management systems despite formidable hydrological, social, and historical odds. It will be interesting to watch what its scientific community will innovate with the new influx of R&D investment. The water sector certainly needs all the innovations it can muster in these challenging times. - The author wishes to express sincere gratitude to Professor Takashi Asano, University of California, Davis, for his support and collaboration. - Marisha Wojciechowska-Shibuya is Senior International Editor of MaximsNewsWATER.